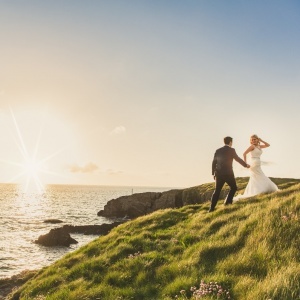 You’re engaged and now ready to plan your perfect day, so look no further than The Cliff Hotel & Spa. 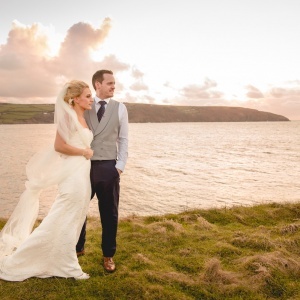 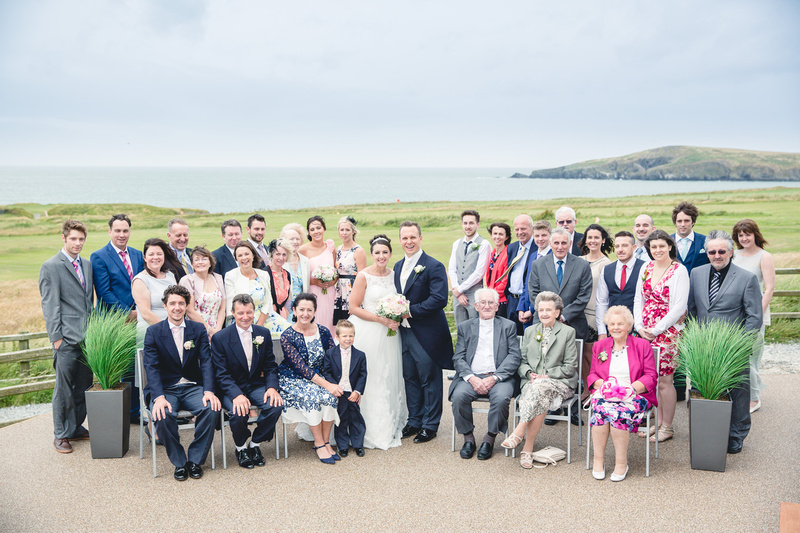 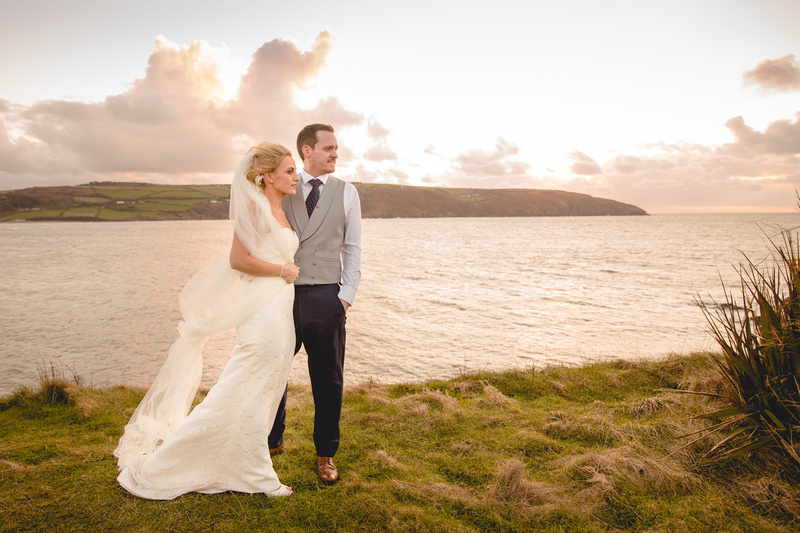 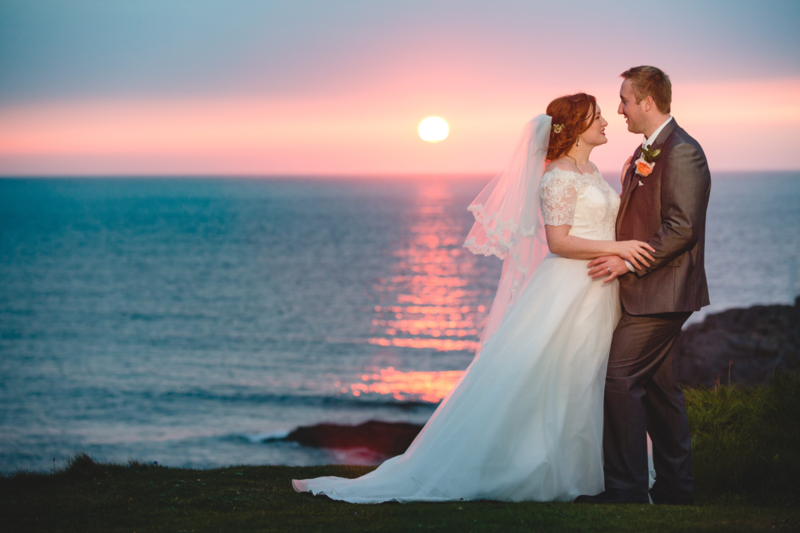 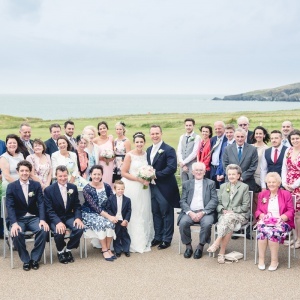 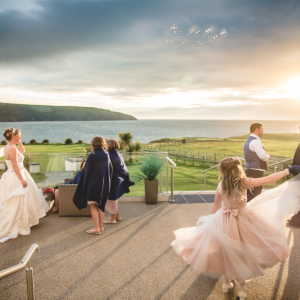 With its unrivalled location on the West Wales coast, we provide a stunning setting for your beautiful wedding with breath-taking views over Cardigan Bay and the Pembrokeshire Coast. 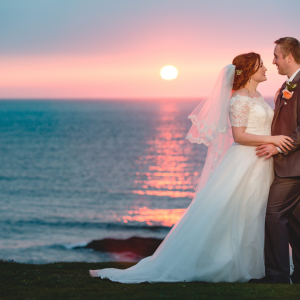 From the moment you arrive for your first visit, through to your wedding day itself, our wedding team will be on hand to offer guidance and advice with every element of your wedding, ensuring your experience is perfect from start to finish. 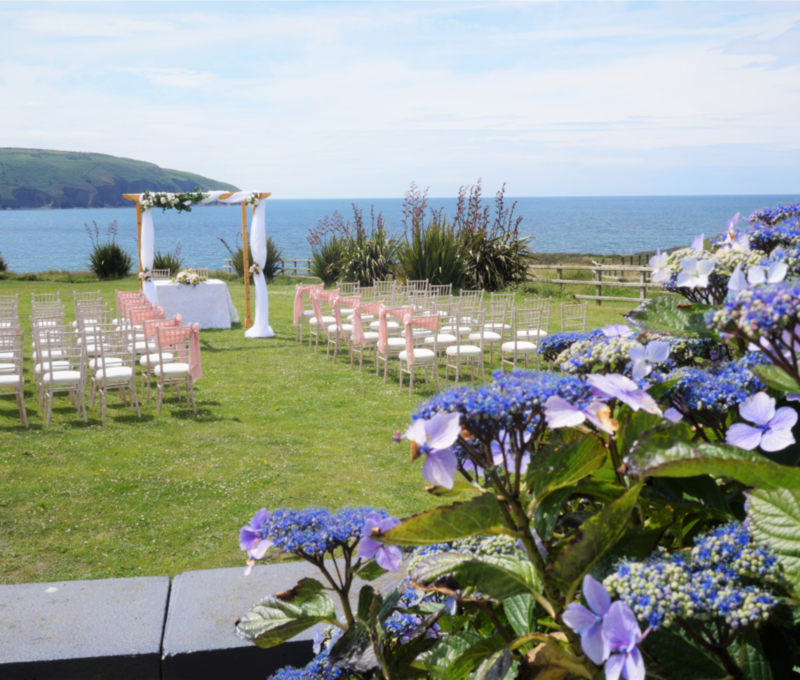 Whether you are planning a lavish or intimate wedding, we have the facilities, knowledge, and experience to help create your perfect day. 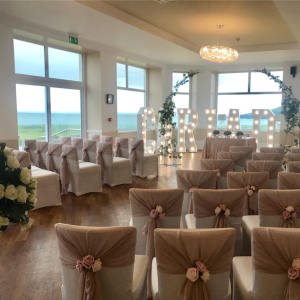 Our wedding team would be delighted to meet with you for a tour of the venue and to discuss your ideas for your special day. 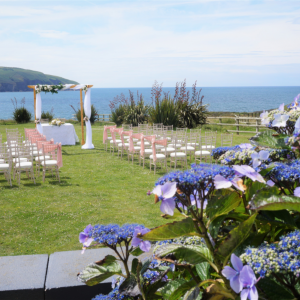 Congratulations again, and we look forward working with you to create your dream wedding. 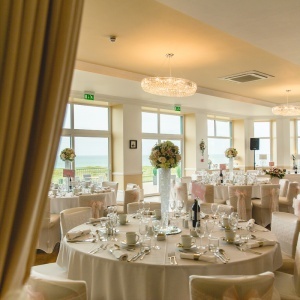 Our Function suite allows for exclusive use of our Ballroom, Island Bar & private terrace area. 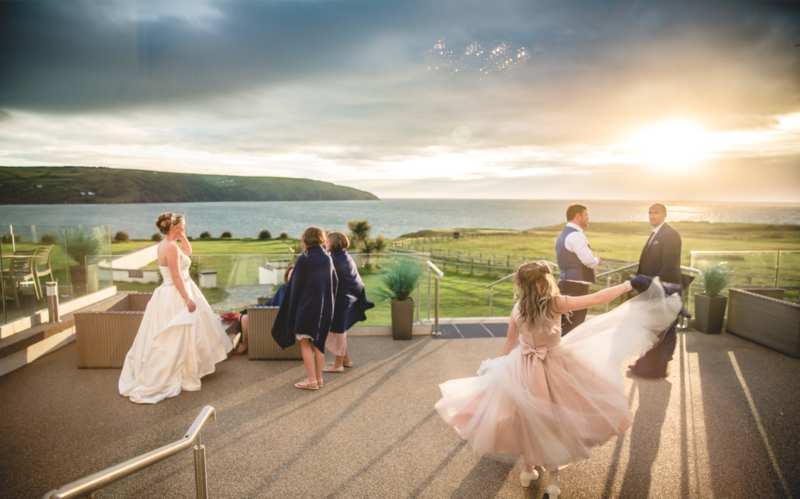 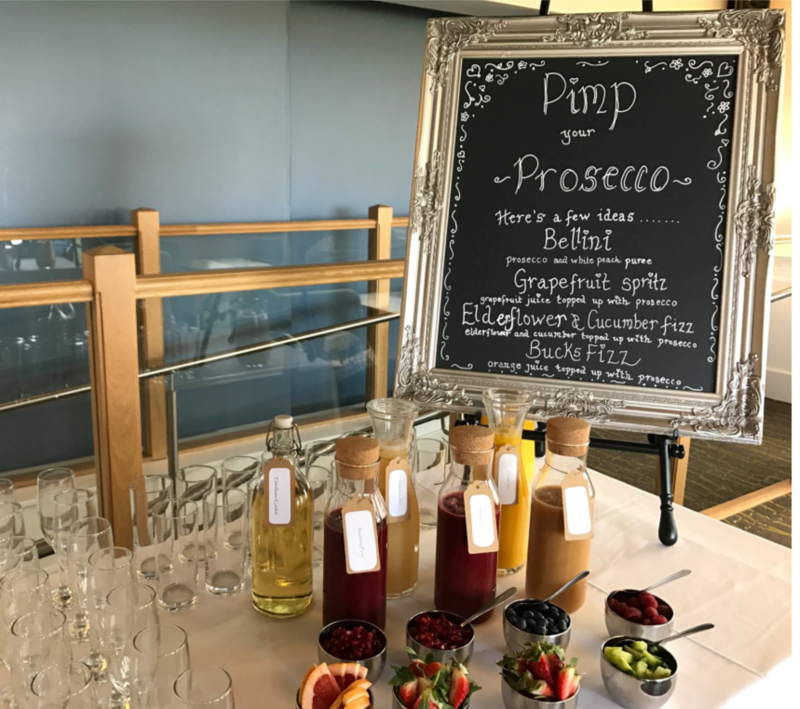 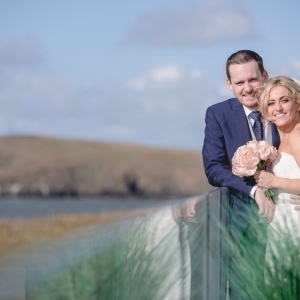 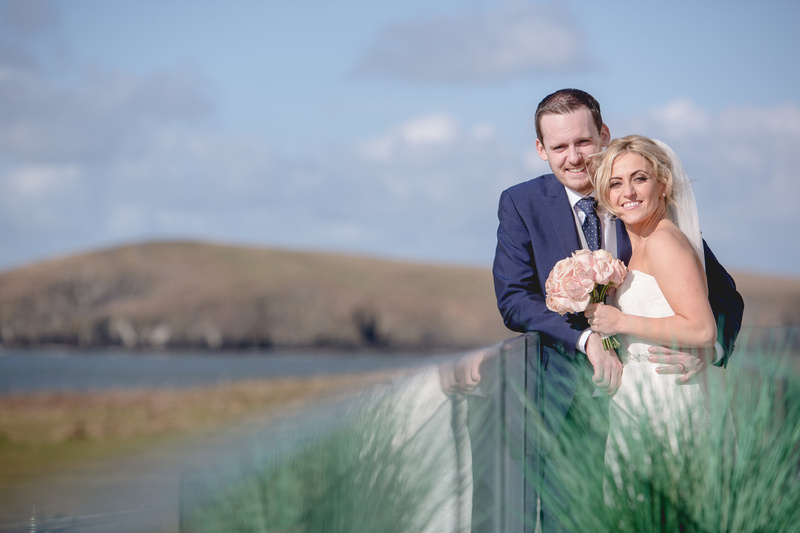 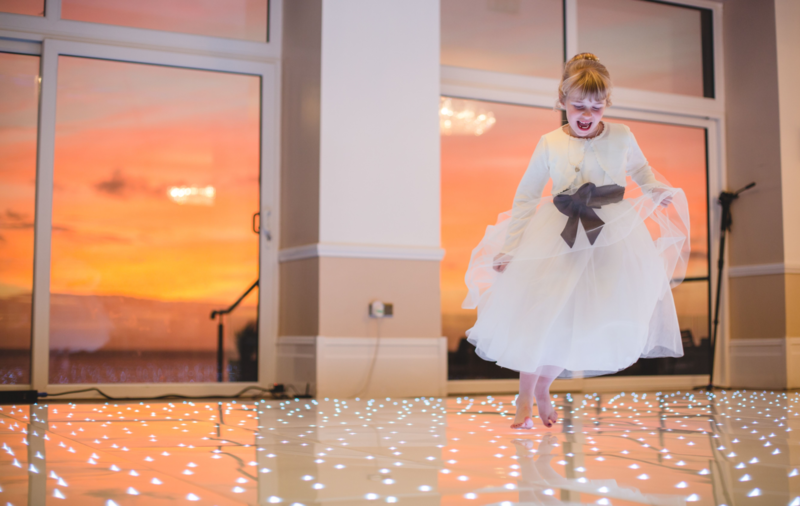 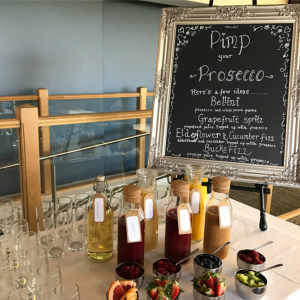 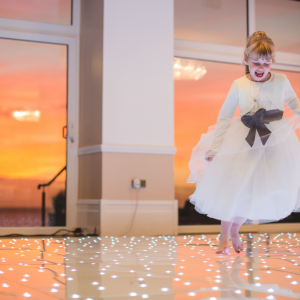 The unrivalled location, with panoramic sea views, is a perfect setting for your drinks reception and provides a picturesque backdrop for some stunning photographs before heading in for your wedding breakfast. 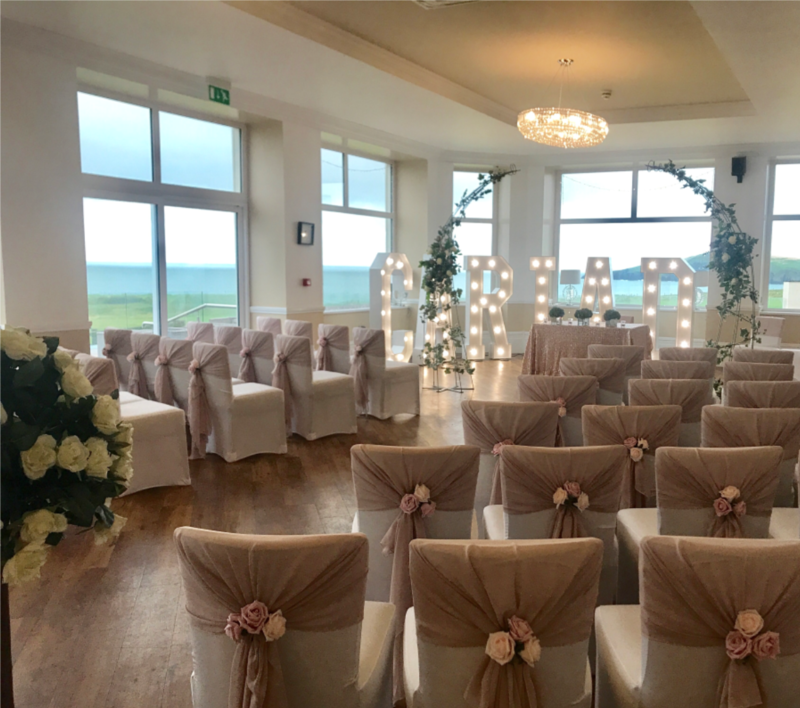 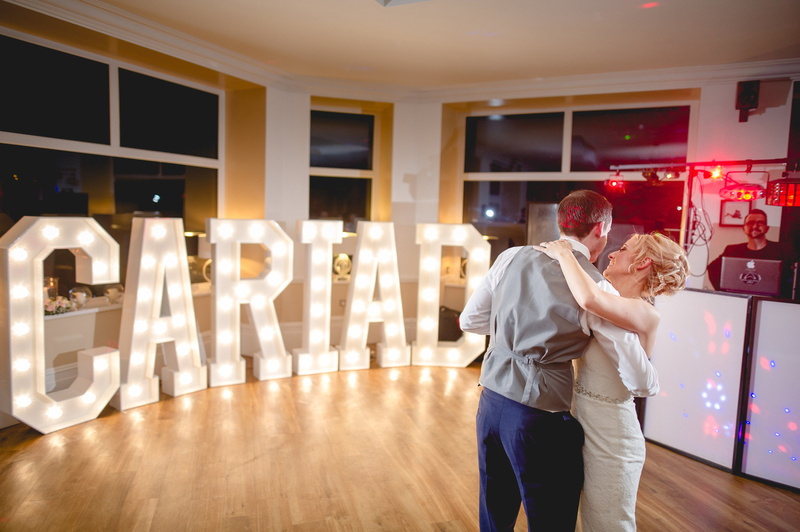 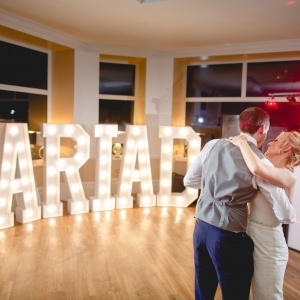 Seating up to 160 guests, our ballroom offers panoramic views across Cardigan Bay and has versatility in layout to best suit the size of your wedding party. 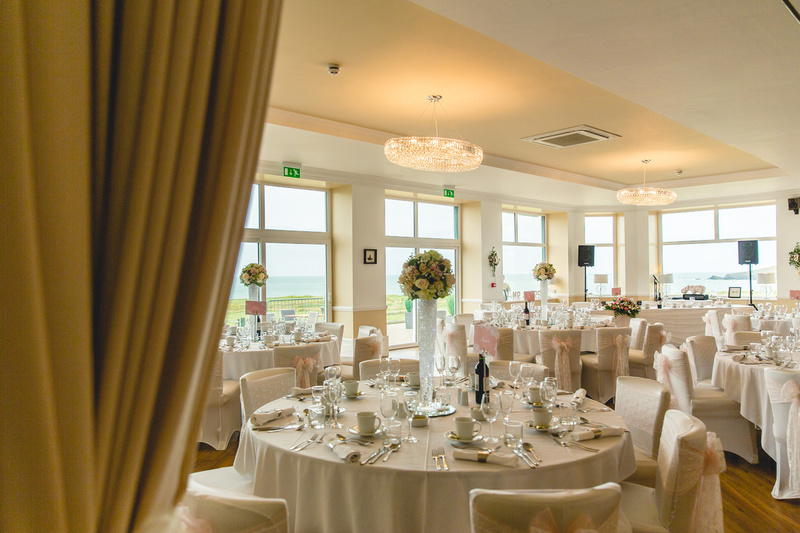 With hidden sliding walls, our ballroom can then be opened up into the Island Bar to create a wonderful space for your evening reception. 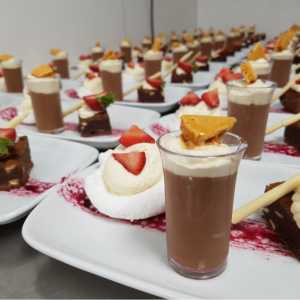 Every couple has their own idea of what they would like on their special day and we look forward to helping you plan your perfect menu. 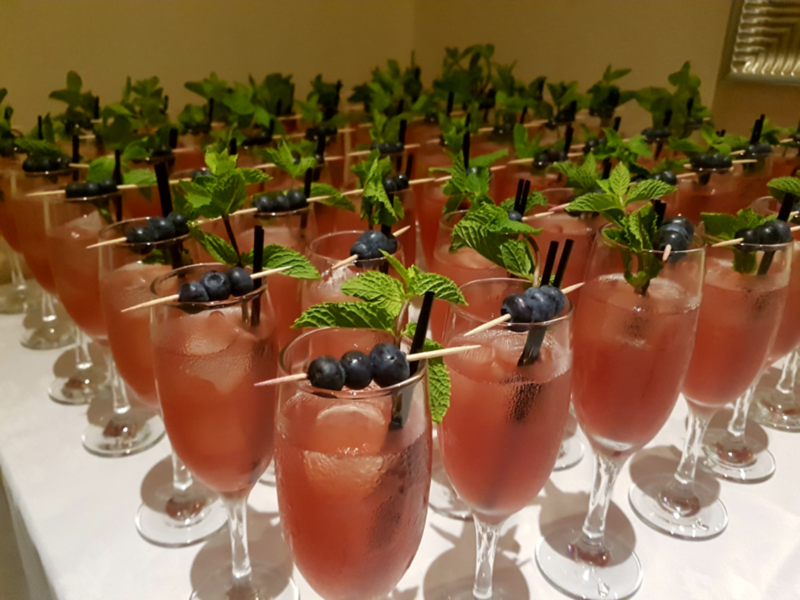 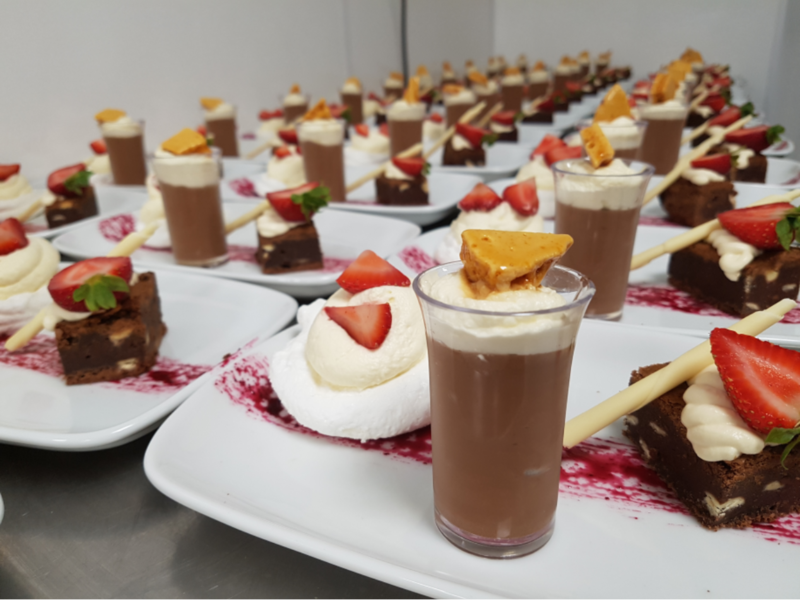 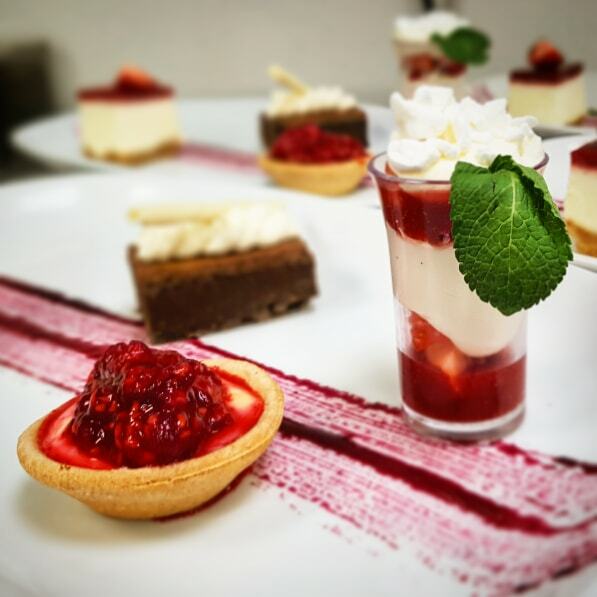 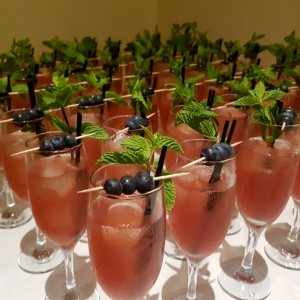 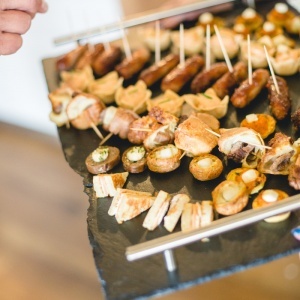 From a wide variety of reception drinks and canapés to an extensive wedding breakfast menu and evening food options, we believe we can cater to all requests and tastes. 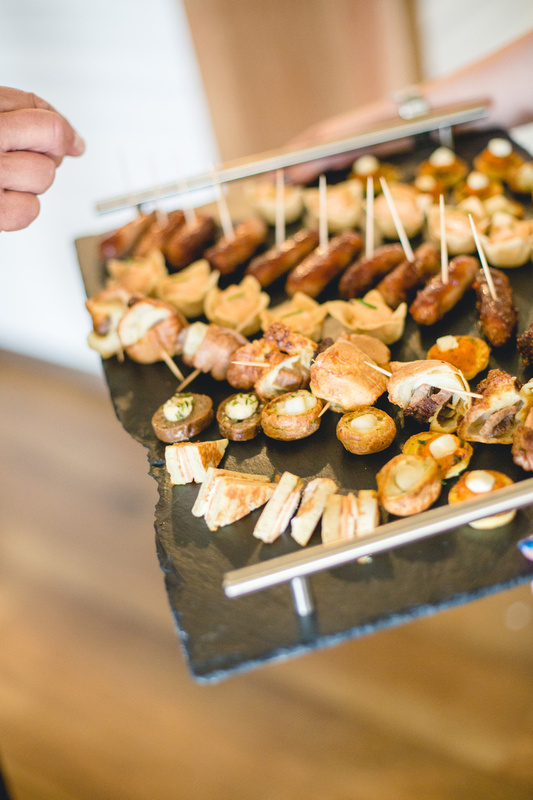 Download our Food & Drink Brochure for an idea of what we could offer for your wedding. 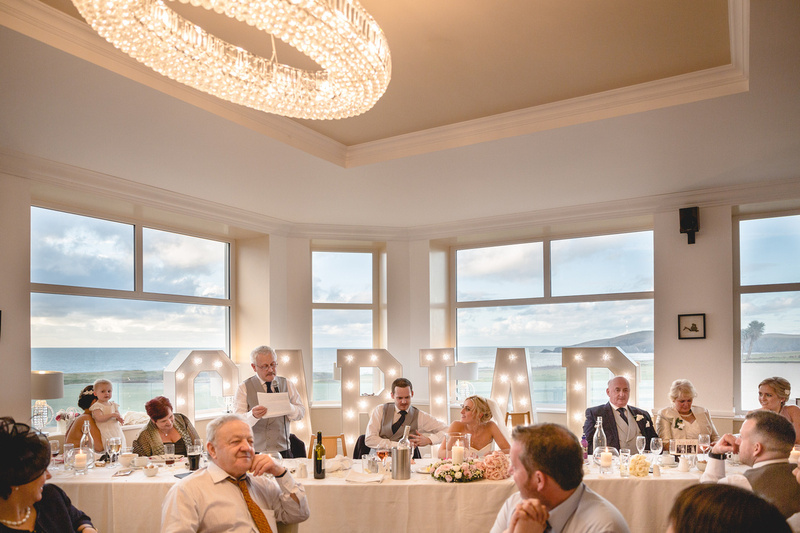 At The Cliff Hotel & Spa, we recognise that each part of your wedding is unique, this is why we offer a great range of options for all aspects of your big day. 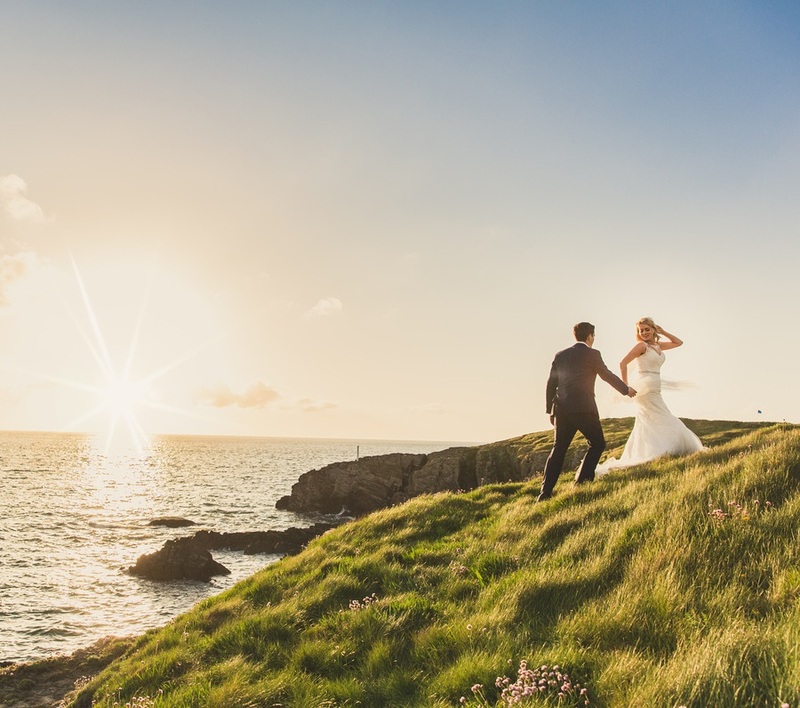 Our brochure contains just a few examples of packages available, however, our dedicated wedding team are always happy to arrange bespoke packages to suit each couple. 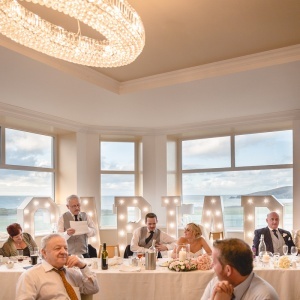 Our experienced team can also advise on a number of tried and tested wedding suppliers, ensuring that you receive the best service possible every step of the way.